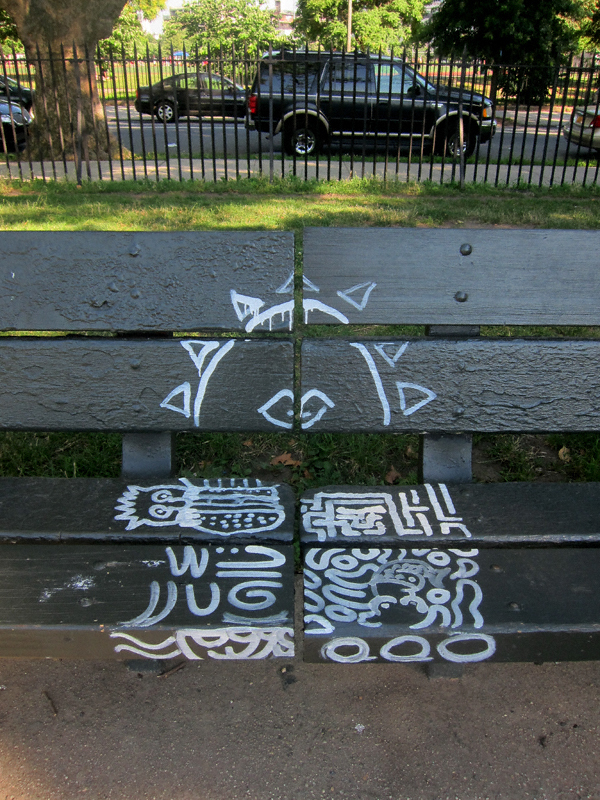 Rounding today’s (truncated*) bloggage I leave you with this curiousity as found in McCarren Park. *Humor me, folks. Not only does yours truly need a break but I have been inspired to write an essay about my eventful week. As of the writing of this post it is about half-completed and looking pretty good! This is definitely one place that I do not appreciate street art. I do not disagree with you— but it got me to thinking: why not have some kind of “adopt a bench” thing where individuals/groups can give these rather drab and abused pieces of public furniture a make-over?